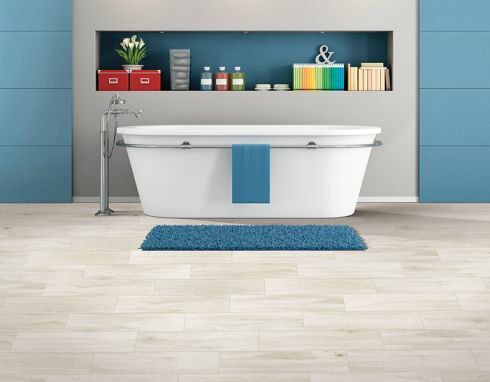 What comes to mind when you think about bathroom remodeling? A new toilet? Maybe some new flooring? You might even want to change things around a bit, or even add a linen closet. Well, the great news is, all those ideas are great and can definitely be accomplished. However, there’s so much more that you can do to that one room. Imagine getting your very own cabinets, electrical and light fixtures, toilets and sinks, all without the up-charge that normally comes, when you make use of a middleman. When you deal with H&H Carpets, you’ll be able to order exactly what you want, no matter what style you’re looking for, or how big a project you’re undertaking. We don’t stop there, though, we will even deliver and bring everything together beautifully with experienced, professional installers. Some people wind up less than thrilled after a remodeling project, because they limit themselves to what they think they want or need. With our help, you can take those limits off, in order to create the space you really and truly want. That means we’re willing to move drains, toilets and bathtubs to a different part of the room, add new closets, or even build a brand new walk-in closet. We’ll even knock down walls to completely recreate a brand new space. What’s more, we’re still capable of all the remodeling that first comes to mind: Installing new carpet, tile and other flooring, shower doors, brand new cabinets, sinks and toilets. And don’t forget a brand new paint to bring your entire look together. If you’re just not sure about exactly what you want, we’re also there to help with the many designing options that are available to you. This includes helping you choose the perfect ceramic tile, or showing you the many ways the project can be arranged and laid out. We will even discuss the many options you have in available brand names such as Mohawk, Dal Tile, MaxiTile, American Olean, and others. Finally, so we leave you with no worry at all, we’ll remove and get rid of all your old stuff, such as showers, tubs, cabinets and more. All you’ll have left is the perfect space, remodeled to your specifications, with brands you’ll love for years to come. Contact H&H Carpets today for more information. From our showroom in Warner Robins, GA, we proudly serve the areas of Warner Robins, Macon, Perry and Byron.